Looking at the big four property types within commercial real estate (Office, Retail, Industrial, Multi-Family); there are a few trends that are causing a major shift in the way these properties are transacted. Office: Average Square Foot per employee is going down; Corporations are looking for “Productivity and Profitability” in space. (Coldwell Banker Commercial’s parent company REALOGY is an excellent example. The company moved out of 370,000 SF and moved into 290,000 SF, with the exact same head count). Retail: E-Commerce (internet sales) is changing demand for retail; percent of goods sold are impacting retail nodes and changing demand parameters. 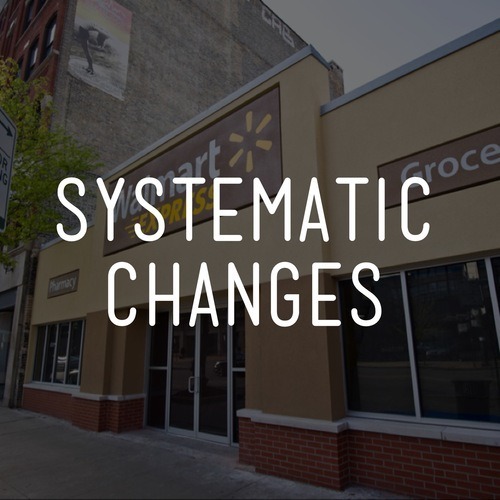 Companies are moving to smaller footprints; Wal-Mart is looking at 15,000 to 25,000 SF locations in Urban and Exurban sites (A region lying beyond the suburbs of a city, especially one inhabited principally by wealthy people). Industrial: E-Commerce – Correlates with Retail, demand fulfillment for internet sales drives demand in Industrial, with companies building distribution nodes closer to the consumer. (Example: Amazon is building a 1 Million SF distribution center in central NJ, almost the equivalent of 3 regional malls when you look at inventory turns). Amazon is building these distribution centers throughout the US as they ‘promise’ same day or next day delivery. Multi-Family: “Darling of the group;” new construction is adding supply toward the end of 2013 and into 2014, According to REIS, 85% of new supply that is coming on line is 85% occupied. One of the major reasons is the fact that Millennials (Generation Y) are opting not to purchase homes, but to rent instead. What will be the next big thing to come along and have a drastic effect on commercial real estate? Stay tuned…as the Coldwell Banker Commercial organization is always at the forefront in researching these changes.